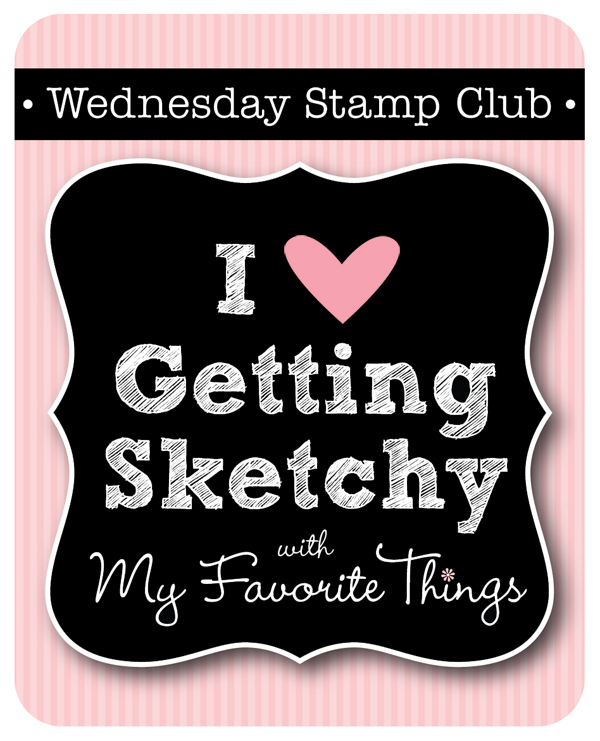 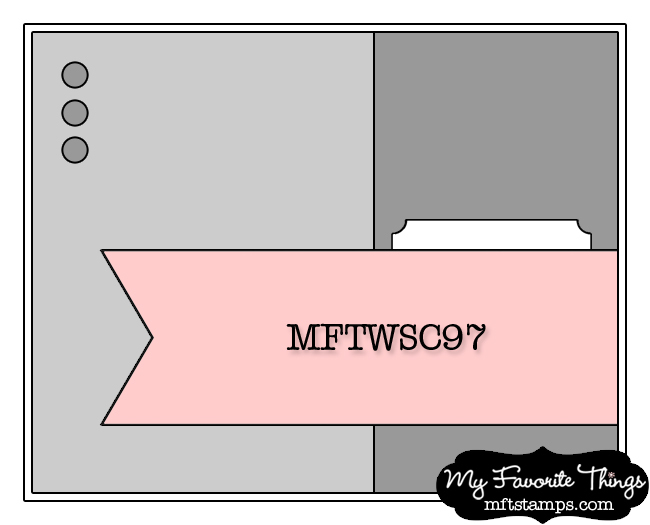 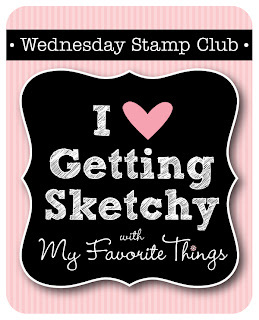 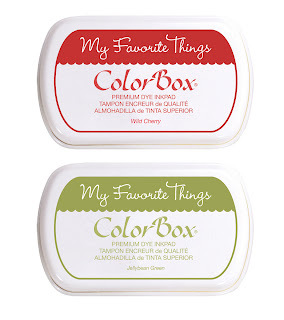 Hi all and thanks for stopping by today for this week's MFT Wednesday Stamp Club #97. 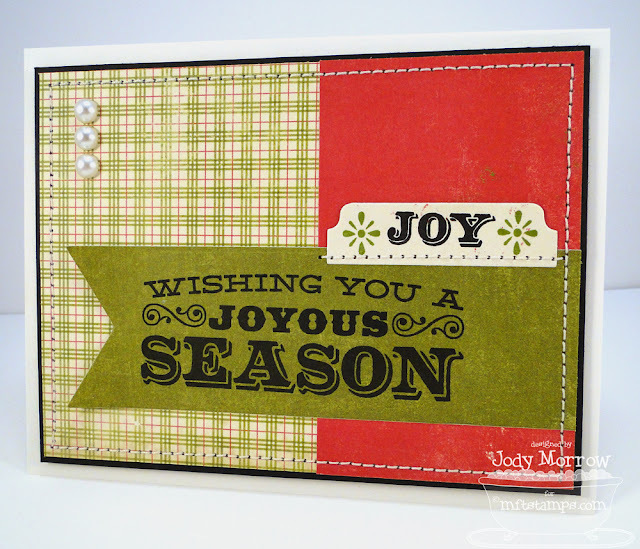 I made a clean and simple Christmas card using this month's Triple Scoop Stamp Set, Seasonal Sentiments. 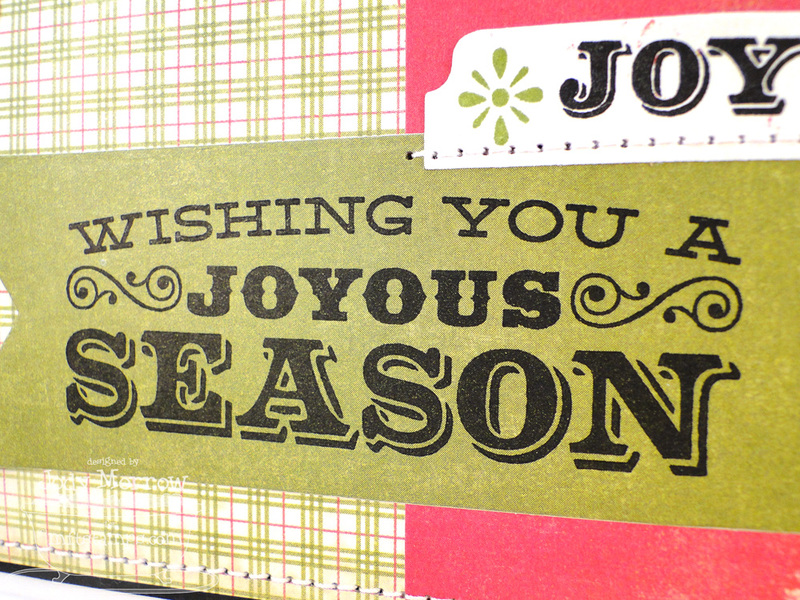 JOY was stamped on a Mini Tab in Brilliance Black ink and I stamped 2 accents (included in the Seasonal Sentiments set) using Jelllybean Green ink (which MFT is releasing on 11/13 YAY). 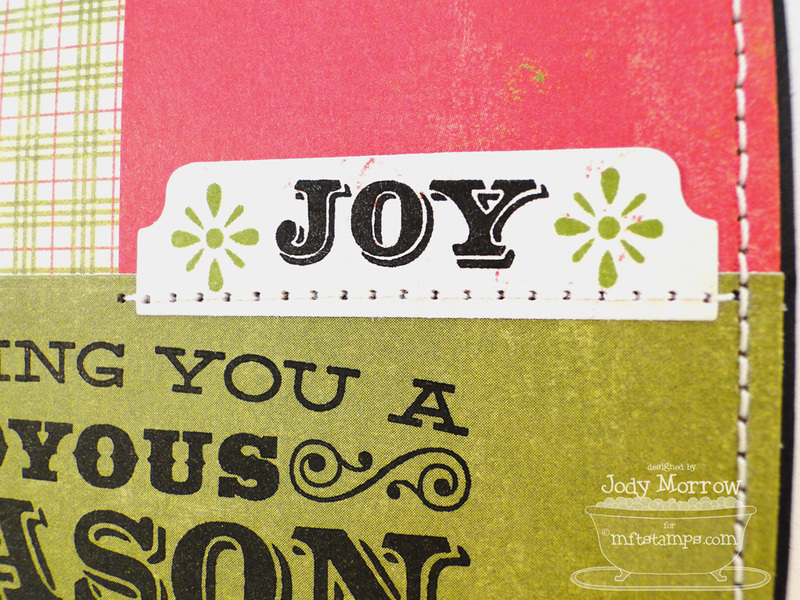 The sentiment was stamped on the new Fishtail Flag Layers STAX. The paper is Festive, from Authentique.